Located at the east end of the North Arm of the Fraser River, unpopulated Poplar Island was a part of three reserves relegated to the "New Westminster Indian Band" in 1879 by the federal government. After some 27 acres of reserve land became a smallpox quarantine area for Qayqayt First Nations, reducing their numbers from about 400 to 100, the remaining Qayqayt mostly joined the Musqueam Band, making it much easier for the B.C. government to enable New Westminster Construction and Engineering Company to build a large shipyard on the island in 1916. By 1936, only fisheries warden William Albert Bowcott and his family lived on the island. In 1945, the city of New Westminster allowed the the island to be used by forestry giant Rayonier Canada. In 1995, the provincial government declared the island was part of its "nature legacy" program. Cecily Nicholson's poetry book is partially inspired by the efforts of the revived Qayqayt First Nation to regain control of the island. They assert they are the only chartered First Nations government in Canada without any land base. As a community organizer who has worked in Vancouver's Downtown Eastside since 2000, and who has administered the Downtown Eastside Women's Centre, Cecily Nicholson wrote a first book of poetry, Triage (Talonbooks, 2011), that presents "a polyvocal narrative of human communities struggling at the brutal margins of the neoliberalized state." It examines and supports women's creative resistance to both physical and systemic violence. As the administrator of Gallery Gachet, she continues to engage with conditions of displacement, class and gender violence. 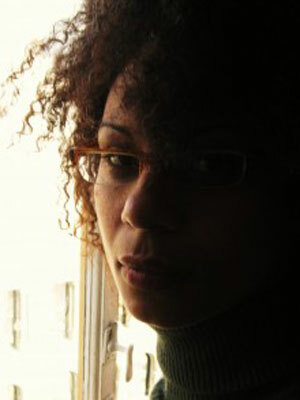 Cecily Nicholson was also a contributor to Anamnesia: Unforgetting (VIVO Media Arts, 2012). Herself a rabble-rouser of the first degree, Dorothy Livesay would have been delighted to know Cecily Nicholson took home the Dorothy Livesay Poetry Prize for From the Poplars (Talonbooks), a book that examines the little-known history of Poplar Island in New Westminster. Located at the east end of the North Arm of the Fraser River, unpopulated Poplar Island was a part of three reserves relegated to the New Westminster Indian Band in 1879 by the federal government. After the 27 acres of reserve land became a smallpox quarantine area for Qayqayt First Nations, reducing their numbers from about 400 to 100, the remaining Qayqayt mostly joined the Musqueam Band, making it much easier for the B.C. government to enable the New Westminster Construction and Engineering Company to build a large shipyard on the island in 1916. By 1936, only fisheries warden William Albert Bowcott and his family lived on the island. In 1945, the city of New Westminster allowed the island to be used by forestry giant Rayonier Canada. In 1995, the provincial government declared Poplar a part of its "nature legacy"; program. Cecily Nicholson's book is partially inspired by the efforts of the revived Qayqayt First Nation to regain control of the island. They assert they are the only chartered First Nations government in Canada without any land base. The BC Book prizes were established in 1985 to celebrate the achievements of British Columbia writers and publishers. The prizes are administered and awarded by a non-profit society that represents all facets of the publishing and writing community. 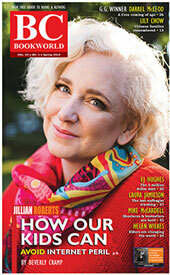 Harbour Publishing had six nominations; HarperCollins from Ontario had four; Caitlin Press of Halfmoon Bay and Kids Can of Ontario had three each. Double nominees were Caroline Adderson for adult fiction and illustrated children's literature; scientists Richard Beamish and Gordon McFarlane for Haig-Brown and Booksellers' Choice; and Toronto illustrator Qin Leng twice in the same category for the Christie Harris Illustrated Children's Literature Prize.